If you’ve got tickets to see Pope Francis during his visit to New York City, don’t plan on bringing your selfie stick. Law enforcement officials have released the list of prohibited items for this month’s Papal events, and the ubiquitous sticks are on there. Preparing for the pope’s three-day visit to the city, which begins on Sept. 24, has posed a huge security challenge for officials as they figure out how to deal with the crush of visitors to a pope who likes to get close to people, and yes, take selfies with fans. Thousands of people at any time could be trying to catch a glimpse of the pope, and the visit in late September comes as the city braces for gridlock with world leaders in town for the annual U.N. conference. On top of that, President Obama will be coming into town for the U.N. General Assembly just as the pope is leaving town. Officials say surrendered items will not be returned or available for pick-up. Attendees to papal events will be subject to security screenings. Thousands of extra officers will be assigned for the pope's visit, joining the Secret Service and other federal agencies in helping provide security. New Yorkers can expect extraordinary gridlock on the streets. There will be extra trains put into service on the subway but access to some stations could be limited or even closed. 50th Street: West side entering from 6th Avenue only. With the general terror threat environment a concern, there will be more vehicle checkpoints, more uniformed officers deployed across the city and additional security measures that won't necessarily be visible, including an increased security presence in the skies and nearby waterways. 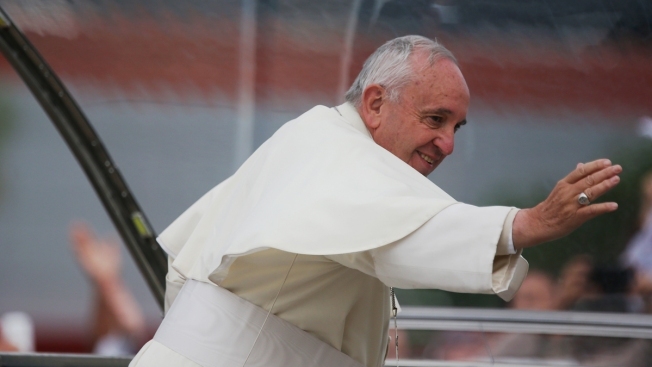 Pope Francis' visit to the U.S. will also include stops in Washington and Philadelphia.